Ten populated back planes prepped for installation into explosion-proof panels. ACES recently shipped 10 explosion-proof panels to the oil fields of North Dakota. These NEMA 7– rated, 3′ x 4′ panels weighed 500 lbs each, and featured walls of cast aluminum 1.5″ thick. They were studded with Grade 8 bolts to prevent doors from becoming projectiles in the event of an internal explosion. What kind of environment requires this heavy-duty treatment, with every feature explosion-proof rated? One byproduct of pulling oil out of the ground in these North Dakota oil fields is natural gas, which hangs around and creates a highly flammable environment. These LACT panels (Lease Automatic Custody Transfer) are installed on skids, which transfer oil, unattended, from the production site to rail cars or tanker trucks. As pumps transfer the oil through pipes, the PLCs precisely measure flow and monitor quantity, generating records for billing and sales purposes. ACES has plenty of experience with LACT panels, having completed an order of 12 panels for this same customer last year. This order had its own unique challenges. First, the customer-provided electrical drawings specified too many components for the cabinets. 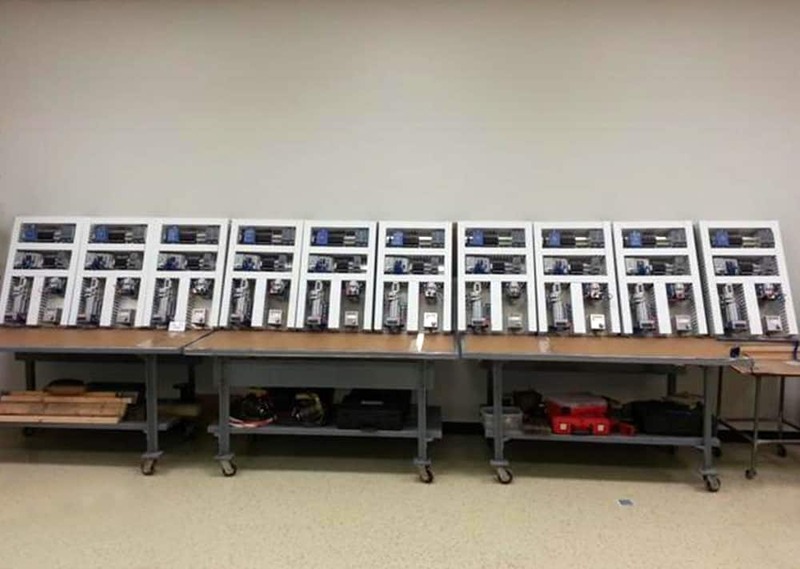 To avoid reordering the specialized cabinets, which had an eight-week lead time, ACES worked closely with the cabinet layout designers to remove non-essential terminals and repositioned the rest to fit within the 3′ x 4′ cabinets. On top of that, the client put in a rush order for two additional cabinets. A competitor quoted a 6-week lead time, while ACES quoted 8-10 days. In the end we finished the two additional panels in only 5 days, thanks to components on hand and efficient work processes. 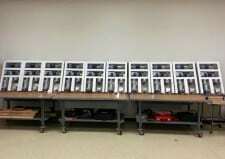 ACES also completed the initial 10-panel order ahead of schedule, thanks in part to a new assembly shop. The 47′ x 25′ shop allowed technicians to lay out the entire order at once, taking advantage of factory-line efficiencies. If you have a project coming up that requires UL-rated panels, control systems, explosion-proof cabinets — or if you just need something turned around quickly and efficiently, give us a call for a free quote.